GoPro have launched a new Wi-Fi BacPac and Wi-Fi Remote Combo Kit for their Go Pro action camera. The remote is capable of allowing you to control up to 50 GoPro cameras at a time from upto 180m away. Watch the video after the jump to see it in action. Features of the remote allow you to control the GoPro camera using either a smartphone, tablet, using the custom GoPro remote application, or the included waterproof Wi-Fi Remote. The GoPro Wi-Fi remote is waterproof and wearable, and additional features include live streaming video from GoPro cameras to smartphones, tablets and directly to the web. Once an immanent new software update is released. Nicholas Woodman, GoPro’s founder and CEO explains. 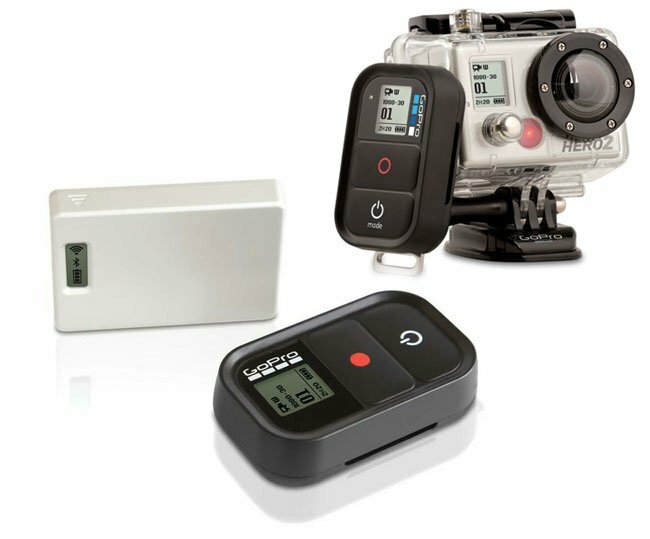 The Wi-Fi BacPac + Wi-Fi Remote Combo Kit is now available for $99.99 directly from the GoPro website and resellers.